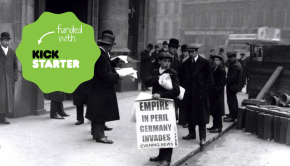 Unfeasibly Miniatures has released a number of character sets to go with its Empire in Peril range, a “What if ?” based on the invasion-scare fiction popular before the Great War. We review three sets here. On the left, we have the Captain of the Guard and his batman, dressed in grenadier uniform, inspired by the popular BBC TV series Blackadder goes Forth. In the middle, we have a gentleman rogue (Mordecai?) and his chauffeur. Finally, on the right, we have part of the English family resistance fighters set. The models are well sculpted with good detailing. The casting is good, with minimal flash on the base. 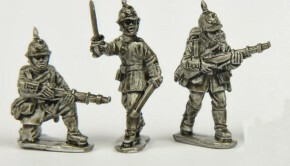 Size-wise, the models are in the medium 28mm-range, so they should fit in with most existing ranges. 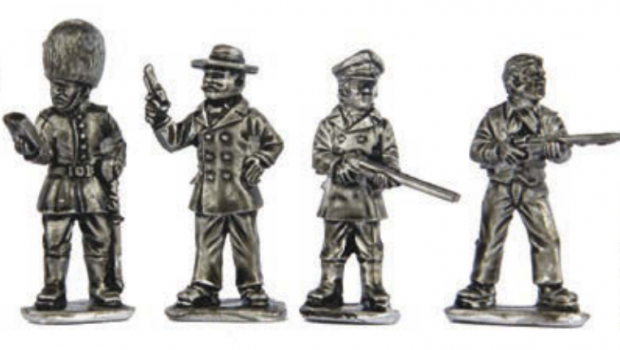 While designed for turn of the century, these characters should be usable for Late Victorian or British Civil War games. CS02 A Gentleman rogue & his chauffeur, armed with pistol & shotgun. CS03 A English family, resistance fighters. 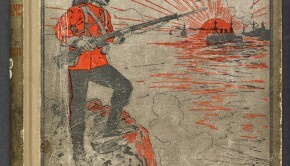 A review of the German Invaders appeared in issue 83 of Wargames Soldiers & Strategy.